The collaboration between Cinereach and The Black List allows blcklst.com users to optionally submit their script for further consideration by Cinereach. This program will allow blcklst.com users to opt-in their feature script submissions to be considered for review by Cinereach, bypassing the Cinereach submission portal process and expediting review for selected projects. Submissions will be collected for a three month period, from January 14, 2019 to April 9, 2019, and after April 9, 2019, The Black List will share a short-list of 10-15 writers/projects with Cinereach for additional consideration. 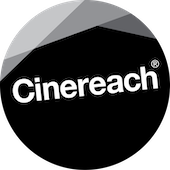 Cinereach is an independent film company dedicated to vital, artful filmmaking. As a philanthropic organization, Cinereach helps expand its films’ creative potential by offering adaptive development, financing, production, and other support models that align with the unique vision of each supported filmmaker. Cinereach also strives for a more sustainable film industry through targeted initiatives and strategic collaborations. Among over 200 films Cinereach has produced, financed, or supported across the globe are the narrative feature films WE THE ANIMALS, SORRY TO BOTHER YOU, and BEACH RATS.